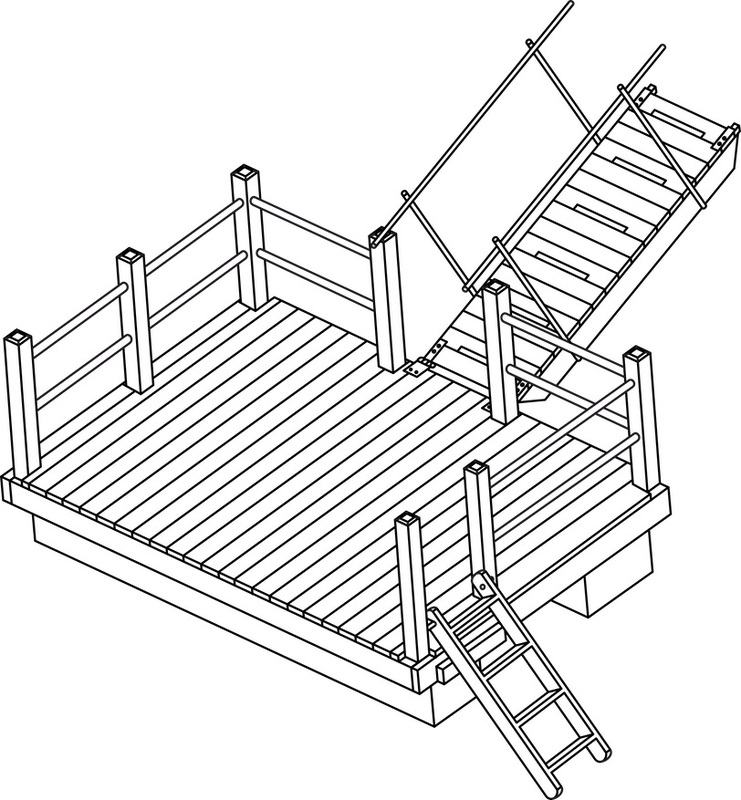 Floating docks are loved because they are adaptable and practical. 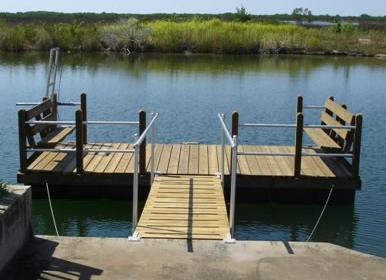 Instead of being built on pilings, floating docks quickly adjust to different water levels. Whether it’s a drought, flood, or just the tides, it will always be easy for you to get on your boat. They are a great option if you live in a waterway that has huge variations in water height. 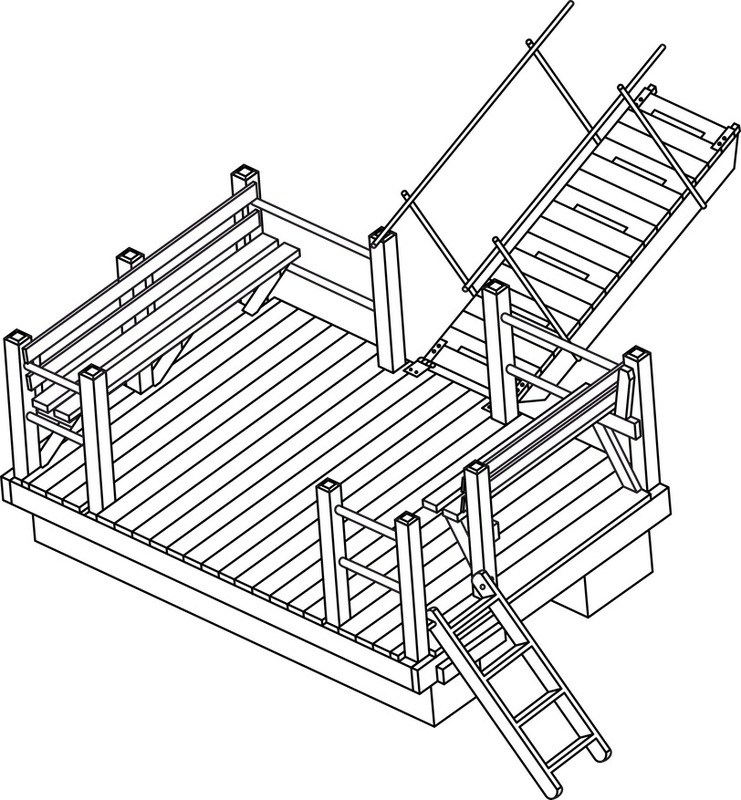 Our dock designs prevent the floating dock from ever hitting your boat’s hull. This means there is no possibility of costly damage. This is because your dock bumpers will firmly stay in place and will not be affected by the high tide. Our floating docks are made of durable marine-grade lumber that is then firmly held together with stainless steel screws. 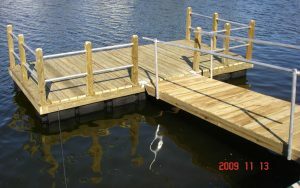 This makes our docks as safe as possible, while still allowing them to float. – THREE OPTIONS: A flat platform dock is the simplest and most affordable option. The rail dock has safety rails, recommended if you have small children. The bench version has the safety rails and a convenient bench for relaxing. – PRACTICAL AND QUICK: Height changes depending on water level. Guaranteed to not damage your hull. Extremely fast installation. – ADAPTABLE TO ENVIRONMENT: Your best dock option if you live near a rocky bottom, deep water, or an a waterway with huge water fluctuations. 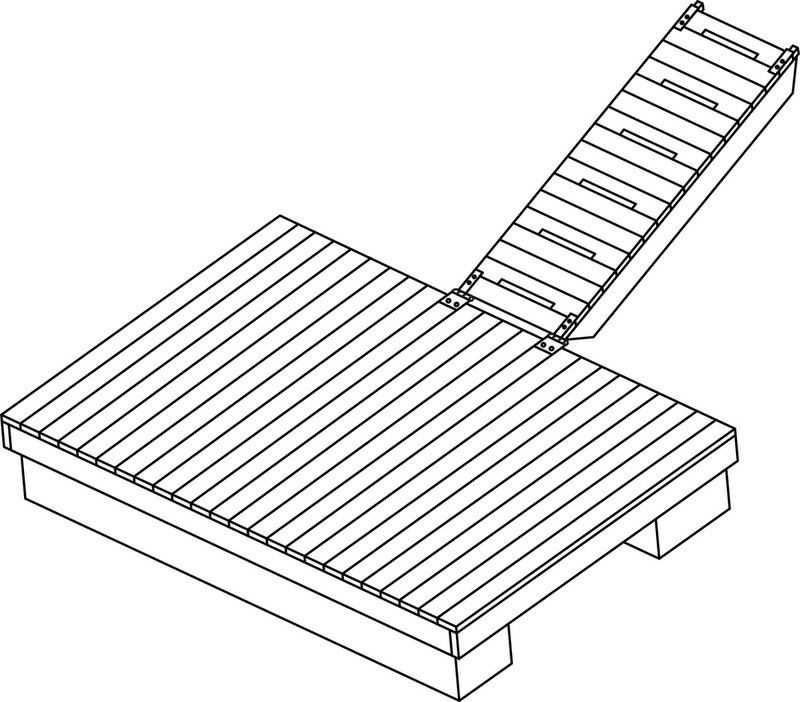 Our Floating Docks come in 3 versions and can be mixed for your needs.